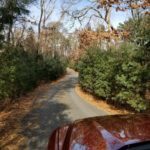 On February 1 at 12:27 p.m. the Brewster Fire Department responded to a reported chimney fire at a residence on Stony Brook Road featuring a winding 200’ long driveway that fire apparatus was required to navigate to reach the front of the home. 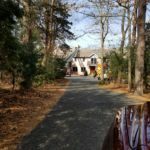 As you can see from these pictures it is critical that residents maintain a clear driveway of sufficient width and height such as this one that allows emergency vehicles immediate and unobstructed access. This is particularly important for homes setback long distances from main roadways. 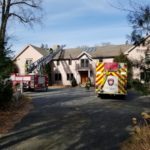 On a good note, the chimney fire at this residence was quickly handled by Brewster firefighters with no reported damage.